This week’s Sunday Sermon is sponsored by THE SUNDAY SERMON LIVE as part of the Dublin Podcast Festival. 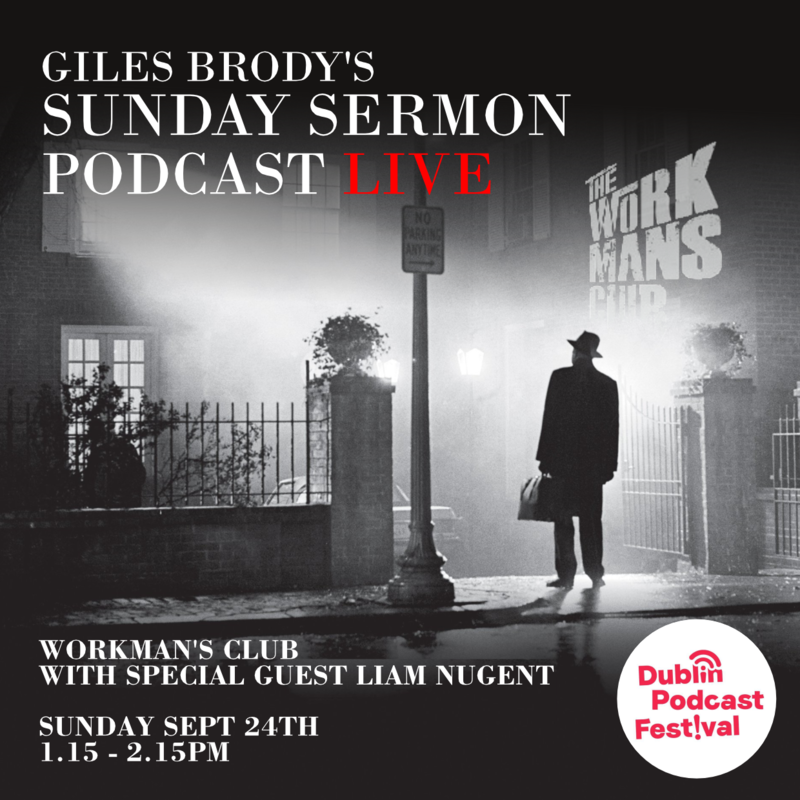 THE SUNDAY SERMON LIVE is coming to WORKMAN’S, DUBLIN next week (Sunday, 24th of September) with special guest Liam Nugent. Big thanks to Conor O’Toole for the poster. On this weeks podcast Quigg discusses the RTE secret producer, writing/directing “Up For The Match” and beefs about tats.